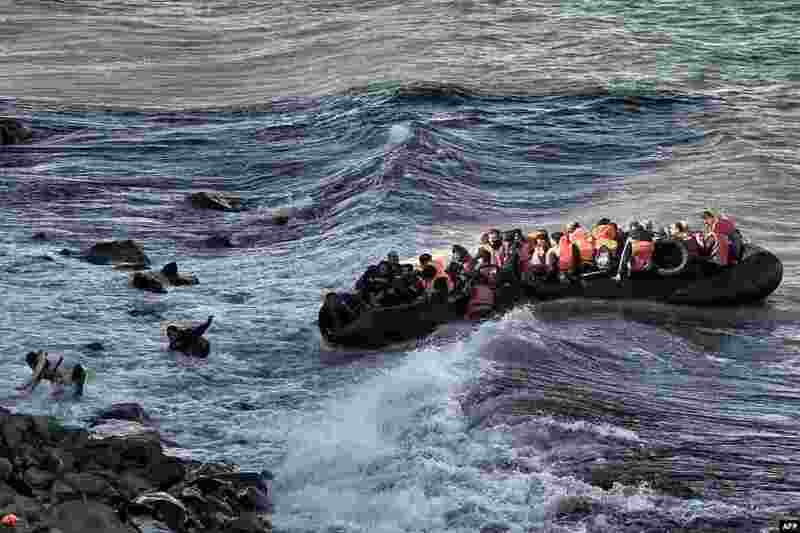 1 Refugees and migrants try to reach the shore on the Greek island of Lesbos, despite a rough sea, after crossing the Aegean Sea from Turkey. At least 17 children drowned when three boats sank en route, the latest tragedy to strike migrants braving wintry seas to seek asylum in Europe. 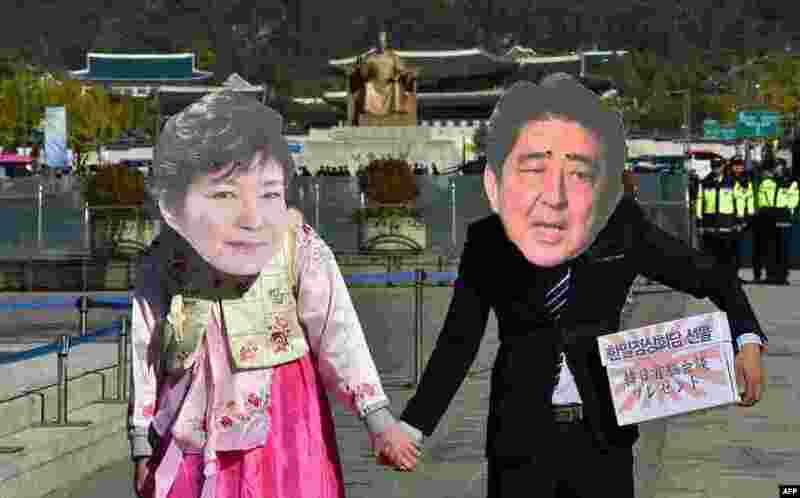 2 Protesters wearing masks depicting South Korean President Park Geun-Hye (L) and Japanese Prime Minister Shinzo Abe (R) hold hands during an anti-Japanese rally in Seoul. The protesters oppose Abe's upcoming trip to Seoul for a summit with Park. 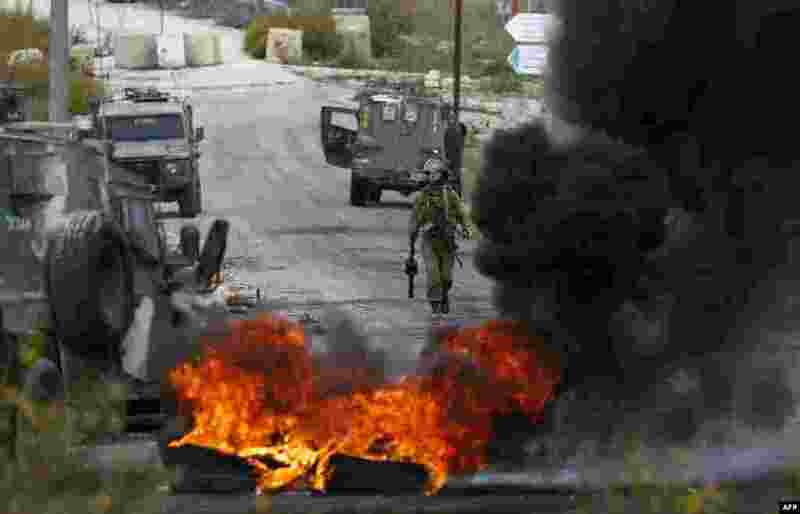 3 A member of the Israeli security forces walks behind burning tires during clashes with Palestinian protesters at the entrance of the Palestinian town of Al-Bireh on the outskirts of Ramallah in the Israeli-occupied West Bank. 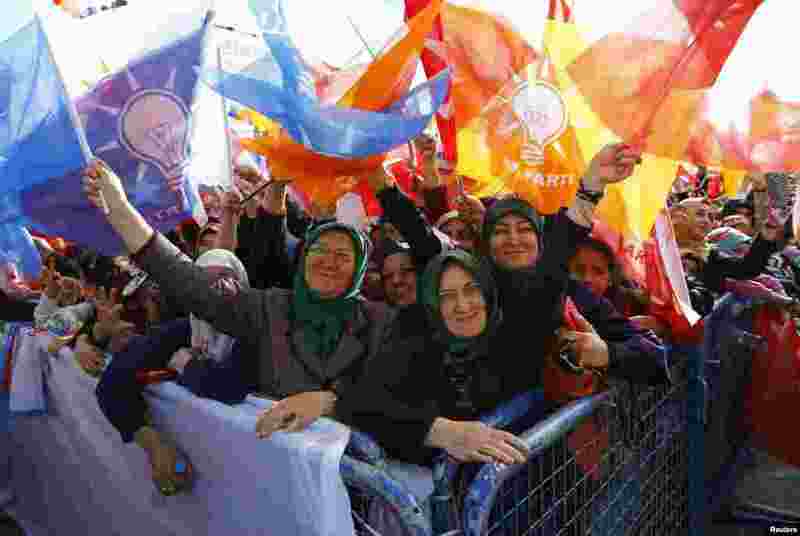 4 Supporters of the ruling AK Party wave party flags during an election rally in the central Anatolian city of Konya. Turkey holds its second general election of the year on Nov. 1, a snap vote which President Tayyip Erdogan hopes will see the ruling AK Party win back the majority it lost five months ago.